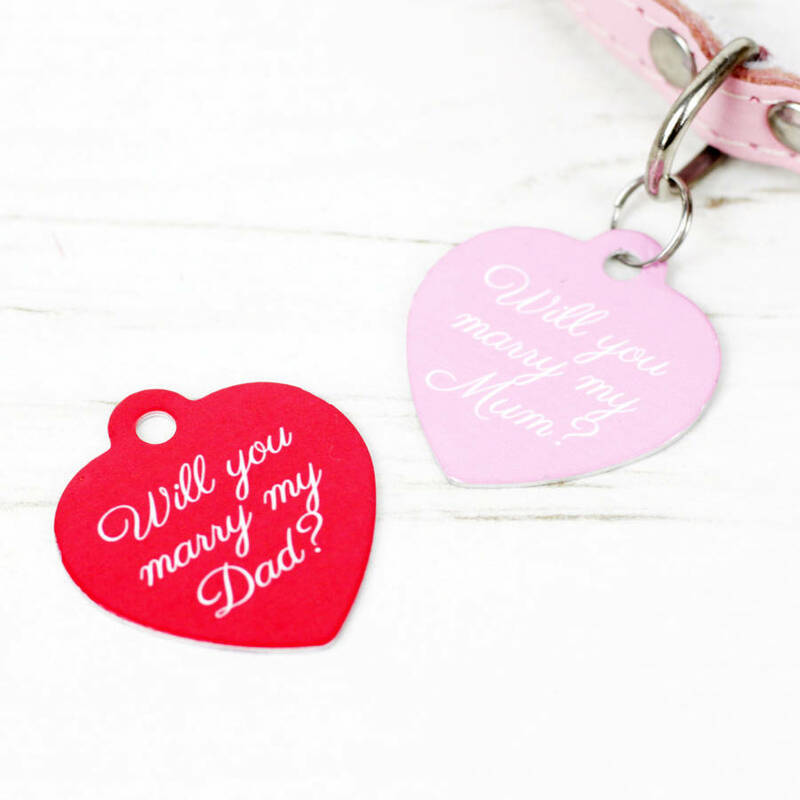 Involve your special pet when popping the big question with this fun and absolutly adorable wedding proposal pet tag. Great for dogs and cats. 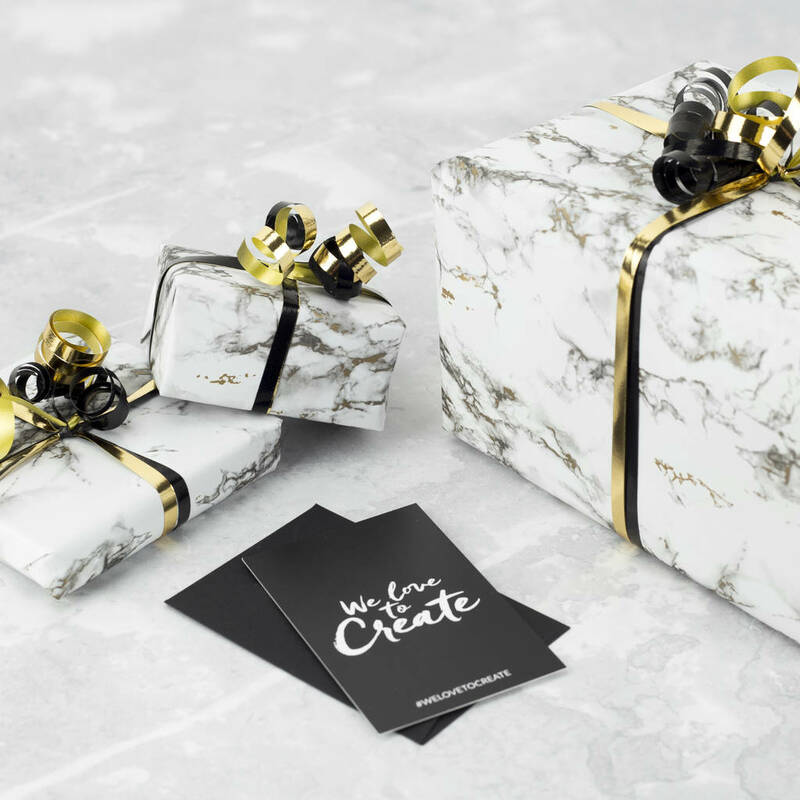 Skip the dinner date, and the fumbling around in your pocket and opt for a fun way of popping the question that they will surely remember. Surprise your loved one by asking them to take a look at Bertie's new pet tag, or have Mindy surprise her whilst on your favourite walk. If you are feeling daring and trust your pet implicitly, why not double up the tag with the ring! Our tags are double sided so you can include an extra message on the reverse, such as your names or a date. If left blank we will repeat the front design. We do not impose character limits however please be aware the font size may be reduced to accommodate longer text. 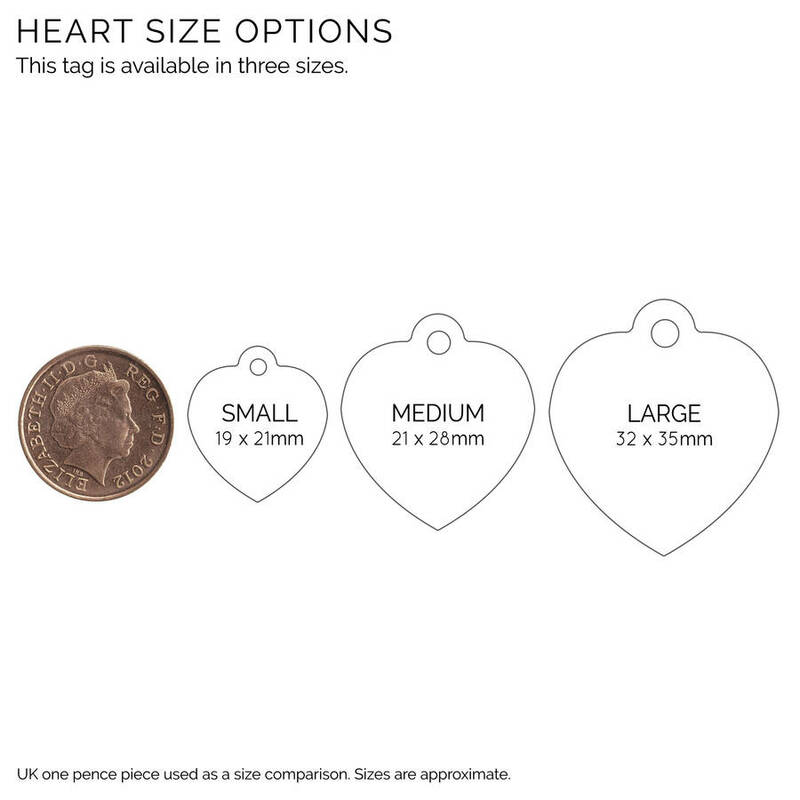 The font and background colour on the front of this tag can be customised with colours from our chart. 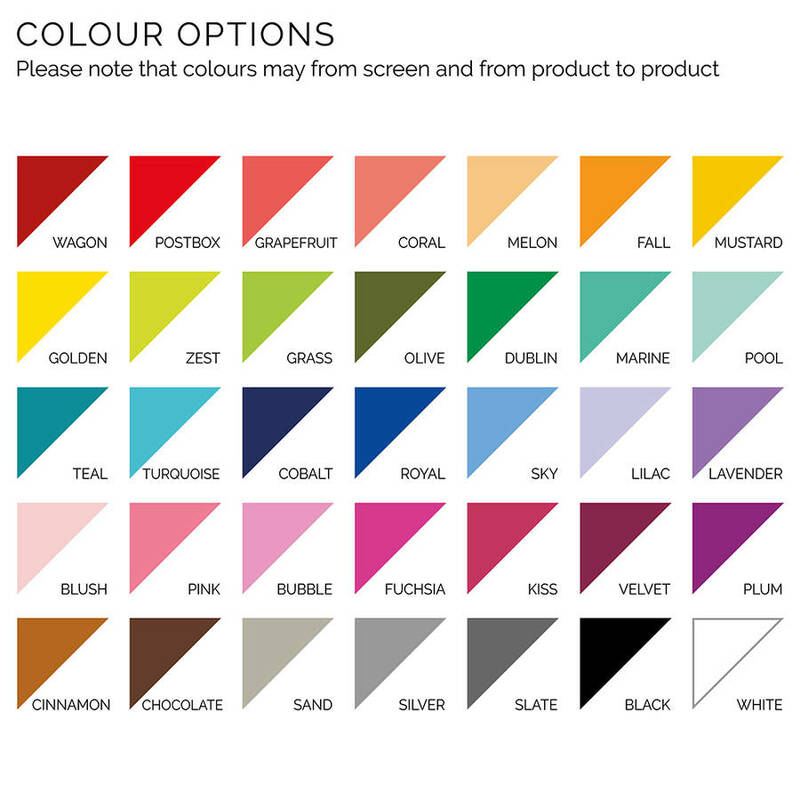 You may also select a background colour for the reverse of the tag with the option of black or white text. We highly recommend opting for a white background with black text for maximum readbility. Made from a lightweight aluminium, ensuring comfort for your pet.